Looking for five great activities to use all year round for your mathematicians to practice combining like terms? Here is a bundle with the BEST resources for your students to hone their skills in a fun and interactive way! 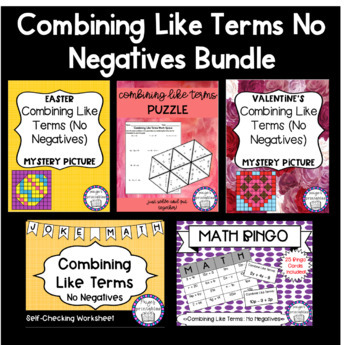 As of 4/12/19, there are five combining like term products in both my store and bundle. If more individual products are added, they WILL be added to this bundle! Purchase now before the price raises!